It’s a common known fact that interests and tastes change as time goes on for a person. MGMT, a college-born group formed in 2002, is the musical representation of changing times and changing interests. Much like many first-time artists, enthusiasm and musical curiosity is at an all time high. MGMT was no exception when their musical career started. As time passed, though, that enthusiasm and musical adventure subdued. This is how MGMT crafted their own sound, but it was only a gradual decline of interest and excitement from there. Best known for their hit singles “Kids” and “Electric Feel” from their 2007 album “Oracular Spectacular,” MGMT declined in their popularity as more albums were released. Almost 11 years later, MGMT hit a sweet spot in the electronic punk genre. MGMT’s new album, “Little Dark Age,” challenges what a listener thought they knew about MGMT’s fading sound. Described as emo punk pop, “Little Dark Age” shows MGMT’s musical reset to their original talents. What was once a jumbled mess is now an organized chaotic musical group. MGMT ventures into a world of synthesizers, unusual lyrics and interesting tunes with their latest album. Beginning “Little Dark Age” is a whirlwind of psychedelic tunes. 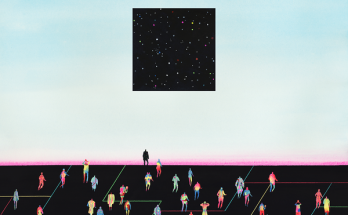 Take the pill that is “Little Dark Age” and you are invested in a trippy experience. As we all expected, “Little Dark Age” starts off on a weird note with the song “She Works Out Too Much,” a song about a possible relationship that so pettily fell apart because the girl was too obsessed with her fitness. The song uses original content to tell its story, but also pieces in exercise instructional videos. Everyone knows what this sounds like, a happy-go-lucky fitness trainer shouting out exercises and healthy habits. Starting off this album with such a weird mixture of sounds like this makes a listener assume they are about to hear an album similar to The Avalanches with their taping together of popular media sound clips. This musical attempt at diversity was abandoned as soon as the album continues. MGMT brings in their own original content, diving into the meat of the album. The song “Little Dark Age” hits a listener with an airy, mysterious story of nonsense. While the lyrics do not make much sense at all, a listener can infer that the “Little Dark Age” story is one of contempt and dwindling hope. The sounds of “Little Dark Age” do not give off this negative idea. Mixing synthesizers, electric drums and interesting rhythms, “Little Dark Age” makes an other worldly experience for its listener. Maybe a better precursor for the entire album than “She Works Out Too Much,” “Little Dark Age” is a much better hint as to what to expect from MGMT’s new album. Not every song on the album is so mysteriously dark. Highlights from the album include “Me and Michael,” “TSLAMP” and “Days That Got Away.” The album brings a 21st century twist to the beloved ’80s music style. The unusual creativity that MGMT offers as a 21st century band easily takes styles we all appreciate from 80’s music and spins it into an alien-like experience. In contrast to some of the artists we remember from the 80’s, MGMT’s “Little Dark Age” can be considered to be a branch of a David Bowie album. There are some very genius bouts in “Little Dark Age” that a listener might be surprised to hear, and then there are moments where creativity and musical endeavors become very personal for the musical group. It is obvious that MGMT did not weigh their fan base’s dwindling interest. MGMT took a leap with their own musical wishlist and were lucky enough that something great popped out. 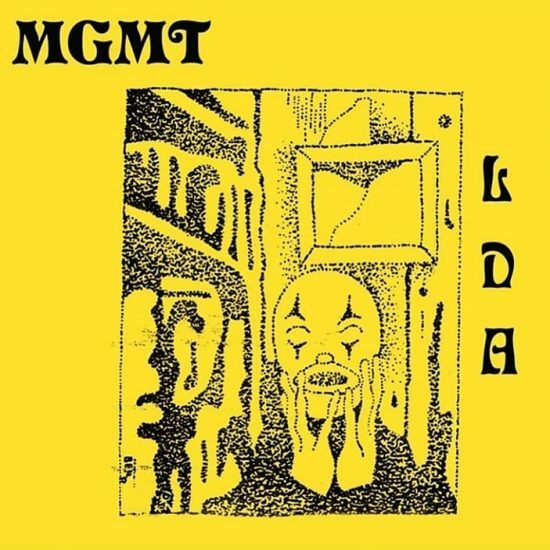 “Little Dark Age” is a risk so boldly taken by MGMT, a fading group most music lovers recognize but do not obsess over. Playing on ’80s style and being so personally daring and creative, MGMT crafted an album that brought back old fans and new fans alike to enjoy something so outwardly different. Taking such a dramatic risk was not so bad since “Little Dark Age” hit a musical sweet spot for 21st century music. A listener can love it or they can hate it, but it cannot be denied that MGMT offers an interesting listen that few artists have dared to match.